Apart from seafood and paddy field, there are quite many swiftlet houses in Sekinchan. 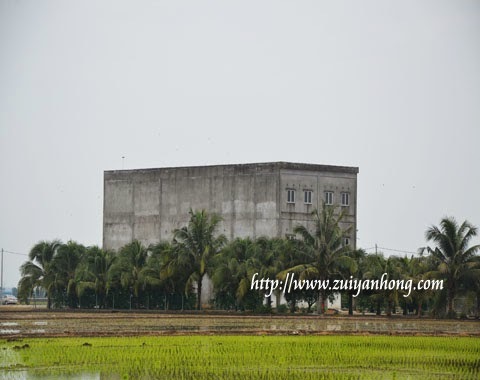 The paddy field environment is suitable for breeding swiftlets because the birds hunt for food above paddy field will reduce paddy crop pest problem. Some swiftlet breeders transform buildings in urban area to breed swiftlets. This selfishness will not only pollute the environment but also affect the daily life of city dwellers. 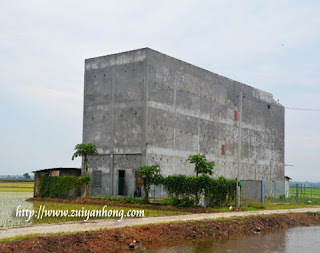 It can't be denied that swiftlet houses are more appropriate to be built in rural area. Stern action should be taken against those swiftlet house operators who are not considerate. In order to promote Sekinchan tourism, swiftlet breeders can build special swiftlet houses for tourists to visit. Beyond that they can invest in related products of swiftlet breeding. These two measures may be will enhance Sekinchan tourism industry and increase the income of local residents.